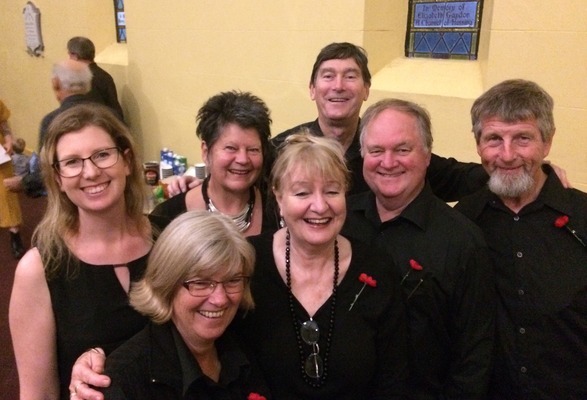 Some of the East Street Singers performing at the Voices of Remembrance concert in Toowoomba earlier this month. (Photo supplied). The East Street Singers will combine with the Granite Belt Choir from Stanthorpe to sing excerpts from ‘Messiah’, the all-time favourite music of Handel from the 1700’s at St Mark’s Anglican Church in Warwick this Sunday 25 November from 2pm. This amazing music has enthralled people since it was first performed in Dublin 250 years ago. Handel wrote the whole oratorio in 24 days. It is hard to imagine how he could have achieved this, he must have been ‘on a roll’, there are stories of him having visions of heaven while composing. Accompanying will be a strings ensemble led by Warwick’s Michael Spiller with players from the local area, including Michael Funder on trumpet. Soloists are tenor Ian Kammholtz and bass Robert Williams, both wonderful singers from Toowoomba, also local singing teacher and soprano Jill Hulme from Warwick and alto Jenel Hunt from Stanthorpe will perform. The program includes the famous “Hallelujah Chorus” and “The Trumpet Shall Sound” with stunning trumpet accompaniment, among many other gems. The combined East Street Singers and Granite Belt Choir have around 60 singers. Handel’s original choir had 32 singers – 16 men and 16 choirboys. On the day of the premiere, in order to fit as many as possible into the venue, men were asked not to wear their swords and women not to wear hoops under their dresses. Tickets must have been pre-sold, you can ask a man to take off his sword, but you could hardly ask a lady to remove her hoop! Ladies, you can wear whatever you like but gents, not a sword thanks! Tickets are at the door and include a delicious afternoon tea in the church hall. The cost is $15 for adults and $10 concession, children under 14 free.